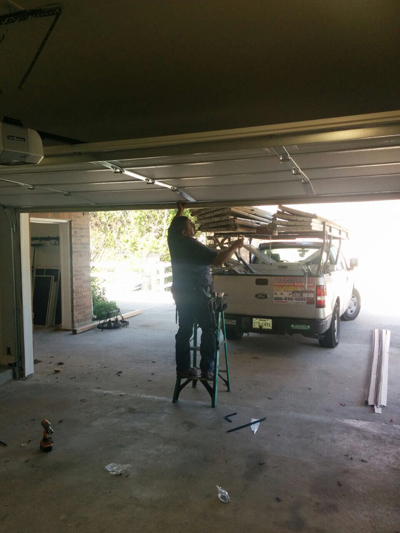 For many, the idea of doing garage door maintenance is hardly equated to something complicated or daunting. However, for those have had actual the experiences of encountering inconvenient garage door defects or door opener malfunctions, maintenance may not really be that simple. Simple cleaning is simply not everything when it comes to maintenance. Maintaining your door means to tune it up and restore it to its optimum condition as well as to prevent minor problems from getting aggravated. Inspections or assessments as well as adjustments are important maintenance tasks that should be undertaken. In some instances, you may also have to do some door parts replacement. 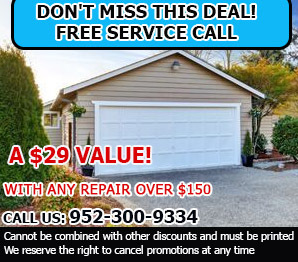 To avoid the need for a garage door repair over defects that have emerged too early into the life span of the door in your garage, consider having the maintenance done by experts. You may have improperly done lubrication on your door. You may have loosened or tightened your chains or cables the wrong way. You may have performed wet cleaning on your electric door opener and caused issues in the electronic circuitry. The adjustments you did on your door tracks may have led to dents that you can no longer reverse. The cleaning chemicals you used may have caused corrosion on your wrought iron door. There are many things you could be doing wrong in your attempt to keep the door in your garage in good working condition. Our service crews at Garage Door Repair Hopkins are experts in addressing all minor problems before they become serious defects. You can be assured that the tune-up translates into palpable results. We will reverse whatever problems your improper cleaning or adjustments may have brought upon your door and door opener. Garage Door Repair Hopkins assures you that we can bring back the original good condition of your door or make it even better. We can also offer modifications or additions that can improve your door. A new panel for the door on your garage, for example, can make your home look better. The addition of better garage door locks will improve security. Contact us now to find out more about maintenance and other services we provide.